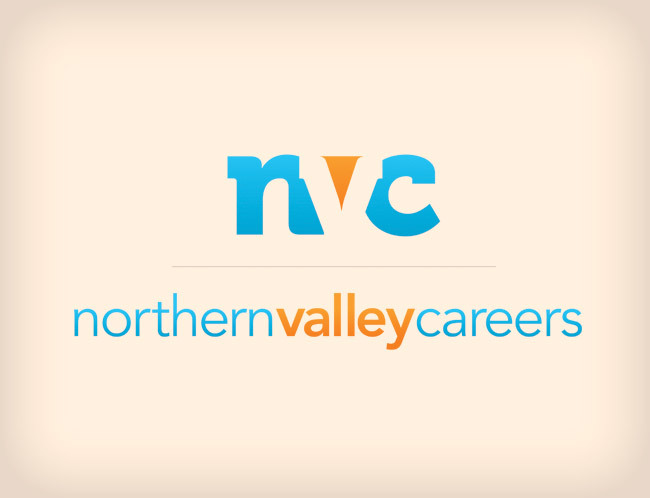 Northern Valley Careers focuses on educating youth on career opportunities in the region, helping to retain valuable leaders and workers in the area by giving them information and resources. The logo we designed is clean, professional, modern and approachable for the two audiences that the organization targets: high school students in the area as well as local businesses and organizations. It has a youthful look with bright colors, and mostly sans serif fonts. It includes a unique symbol that they can use on its own that combines NVC together, using the white space to create the “v”.